From all-nighters to intense cramming sessions, many students will go to extreme lengths to get that much desired grade. While these habits may get the quick grade (if successful), there are some recommended strategies to better understand the material. 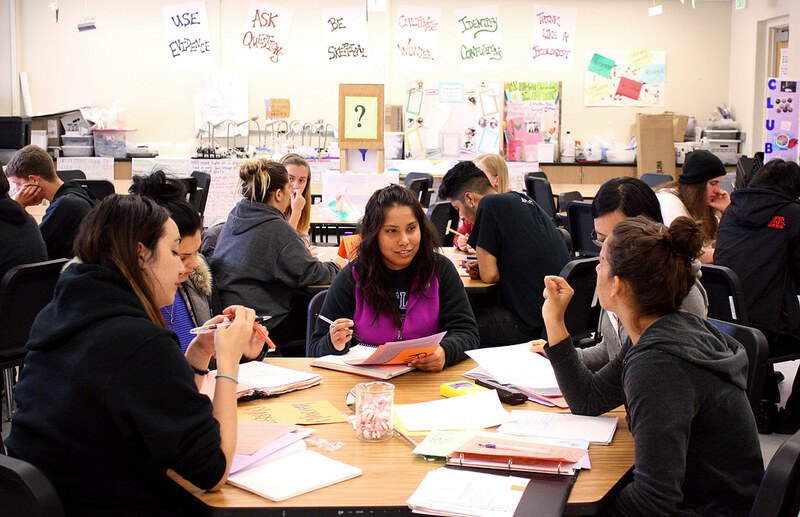 SEPAL, Science Education Partnership and Assessment Laboratory, at SF State is conducting various research projects on how students learn — more specifically, how students learn science. “One of the most important things you can do is figure out what you don’t understand or what doesn’t make sense to you — and that’s really different to the approach that students often take, which is cramming a lot of information in their head, retaining it for an exam and then forgetting it,” said Kimberly Tanner, SEPAL director and associate professor at SF State. Founded in 2004, SEPAL is an active research laboratory run by a community of scientists who are developing methods to measure how students are learning. Through this research, the research group has found many ways to improve teaching and learning methods. Currently, they are working directly with professors and students to figure out exactly how the classroom works. “We are really trying to understand what exactly kind of teaching is going on in the biology department. We’ve never been able to previously just ask professors ‘Okay, what are you doing in your classrooms?’ and we’ve never been able to ask students ‘What do you perceive is going on in your classroom?’ so we’re just starting to watch, research, understand the kind of teaching practices that faculty and students perceive are being used in classrooms,” Tanner said. Learning and teaching methods overlap in more ways than one would think, as Tanner explains that teaching is the best way to learn. Larry Horvath, SF State assistant professor in the science education department, recommends studying in groups to get the “teaching to learn” experience. But before studying in a group, Horvath endorses Tanner’s strategy of identifying what you understand and what is confusing to you. “Try to specifically recognize what you already do know — find a way to arrange your notes in some way that says, ‘I have a pretty good idea, I know these particular pieces,’ and build from there, instead of trying to just sort of memorize everything just screaming at you,” Horvath said. If studying with a group of students doesn’t help to clarify confusing subjects, Tanner recommends making use of office hours to meet with professors. While students may think that fully trying to comprehend the subject matter, rather than just memorizing information for an exam, is too time-consuming, Tanner asserts that it is much better in the long run. “It’s really clear that identifying confusions and clarifying confusions, identifying misconceptions and correcting those misconceptions are a really great way to learn things for the long term as opposed to just to pass this exam,” Tanner said. Conceptual learning may not be the “quickest fix,” but students are realizing that it is the best answer. “If you think about it, putting a little more effort in now will definitely pay off for later exams. The more you can understand now, the less you have to cram as you advance in school,” said Devan Lane, a 21-year-old hospitality tourism management major. Tanner admits that the stress can be overwhelming and it’s very tempting to memorize to get the quick grade, but it may not be the best solution. “I was an undergrad and I memorized to pass a lot of exams, I’m very empathetic with students. But, as a result, I had much less understanding at the end of college than I wish I had had,” Tanner said. As for how to get the best out of your education and ace your finals, Tanner has a few quick tips. “Study in groups, identify confusions, visit your faculty, go get your money’s worth,” Tanner said. While finals may be overwhelming and stressful no matter what study tactic you use, Tanner reminds all students to take a deep breath and remember what’s truly important in education.